No Bake Frosted Brownie Walnut Fudge is an easy to make, low carb, paleo, and vegan treat. No Bake Frosted Brownie Walnut Fudge is very simple to make, low carb, paleo, gluten free, vegan and dairy free. 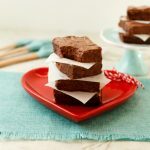 These decadent little fudge squares are frosted and taste like brownies and required no baking or cooking. 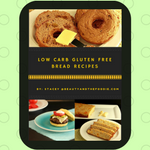 Making these treats mostly involves blending, pouring and refrigerating until firm. 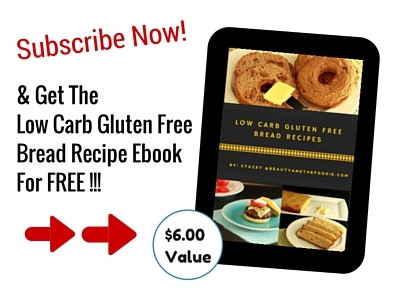 It could not be simpler to get your chocolate fix without baking or cooking. As I tasted tasted these, I kept thinking that these taste like the brownie batter you lick off the mixing spoon or beaters. I know you should not be doing that, because of the salmonella from the raw eggs. I must confess that I have risked it with brownie batter and cookie dough, and lived to tell the tale! My Mother always gave the beaters to us kids to lick when I was growing up, no matter if there were raw eggs in the batter or not. It did not seem to be an issue back then, or maybe we were just blissfully unaware. I made a short recipe video below that you can watch for visual instructions on how simple this yummy chocolaty treat is to make! 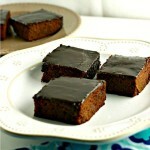 A quick and decadent chocolate fix..
Oil a 9 inch loaf pan. In a food processor add ⅔ cup sweetener of choice and pulse until powdered. Add 1 ½ cup walnuts and ⅓ cup cocoa powder to processor and pulse until fine grain texture forms. Add ½ cup melted coconut oil, ¼ cup coconut or almond milk, and vanilla to processor and blend until blended and very smooth. Spoon fudge mixture into pan and spread evenly in pan. Set aside. In a processor or blender combine: ¼ cup sweetener of choice and 1 tbsp cocoa powder. Blend or process until powder forms. Add ¼ cup melted coconut oil or softened palm shortening and 1 tbsp coconut or almond milk to the blender or processor and blend until smooth chocolate syrup forms. Pour the chocolate syrup mixture evenly over the fudge in the pan and refrigerate pan of fudge for about 2 hours, or until it is set. Slice into 18 squares and serve. Store uneaten fudge in a container the fridge. 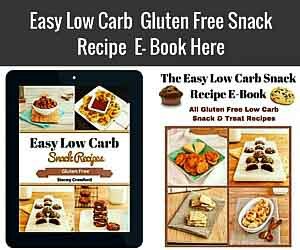 Nutritional Data for Low Carb Version (using Swerve sweetener): Yield: 18 squares, Amount Per Serving (1 square serving): Cal:104, Carbs: 2 g, Net Carbs: 1 g, Fiber: 1 g, Fat: 16 g, Protein: 2 g, Sugars: 0 g, Sodium: 10 mg.
A no bake, paleo, low carb, vegan, frosted, fudge treat that taste like brownies. So simple to make and decadent. HI. I’m going to try these, but can I leave the walnuts out, will it still turn out ok? I just didn’t know if the recipe needed it for substance when making it. Thanks! The walnut give it the brownie flavor, Margaret. But I think it could work without them only it would be just regular fudge. These look amazing. Can I substitute regular milk for the almond milk/coconut milk? Mindy, yes you can use other types of milk. 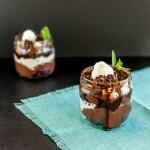 You had me at brownie, but anything with No Bake is even more of a winner!!! This looks deliciously fudgey and walnuts are so good for you, I cant’wait to try them. No bake treats are always the best! I want some of this in my belly. 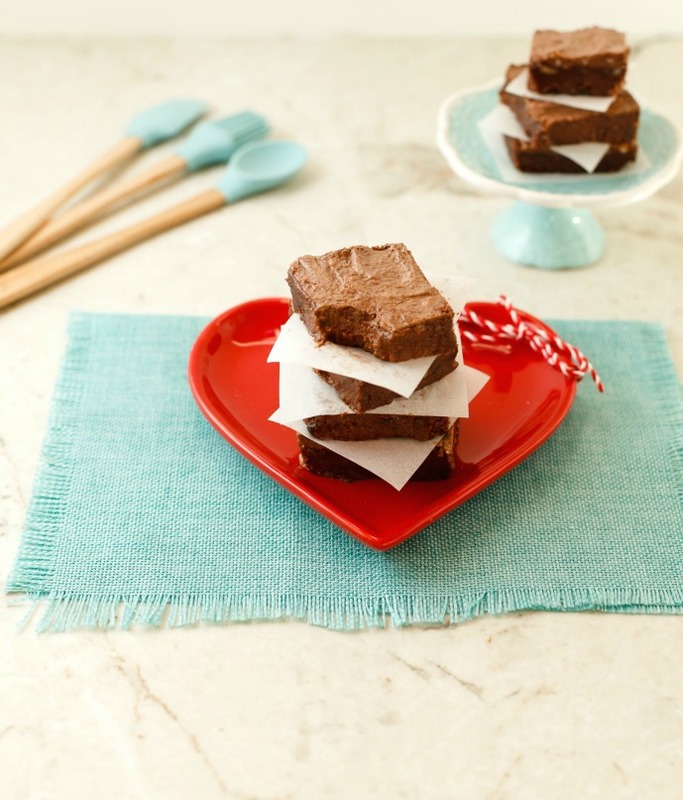 Oooh, I love a good frosted brownie–especially when I don’t have to turn my oven on! We must be thinking alike because I just finished editing my pictures of no bake fudge frosted brownies – what are the odds? These definitely look fantastic, and I love the video to go along with! 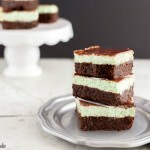 These look so good and fudgy! 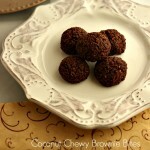 I love that they’re no-bake and you sold me when you said it tastes like brownie batter- yum! The video is awesome, you should definitely do more of those! Loved it! Thank you Mark 🙂 I will try to do more videos. These look perfect! For Valentine’s Day or any other day you’re craving chocolate! What a great (and simple) Valentine’s Day treat! I could totally see my kids helping me make this and then being so excited to eat it. I love how healthy it is too! Think we will have to do this this weekend…. Thanks Michele. your little ones could make this with not much adult help. Oh my these no bake brownie with walnuts are so sinfully delicious ! I can eat them all-day-long with my coffee ! Oh, yum! These look really good. 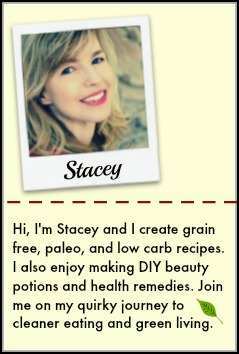 I love how easy they are to eat and I need to start incorporating more coconut oil into my diet again. Thank you Kim, these are definitely a fat bomb of sorts if you need for coconut oil. Homemade fudge is my weakness! 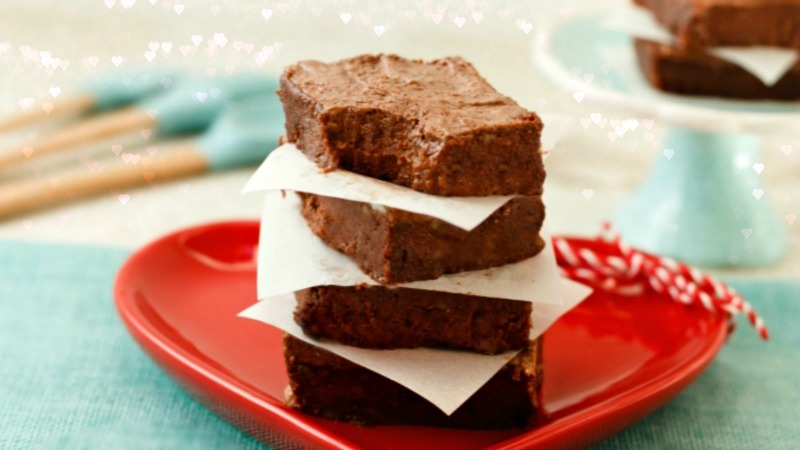 This frosted brownie fudge looks so chocolatey and fudgey and delish! ummmm I just added the ingredients to my shopping list. It’s going down! Thank you! 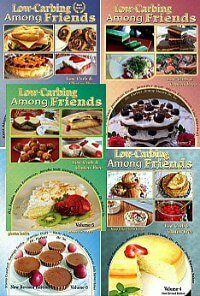 This looks delicious and wonderfully low carb. Thanks for taking the time to make the video! OMG Georgina, it takes me so long to make a video. Like a snail’s pace, lol. Wow! I love a good homemade fudge and this looks awesome! Perfect for Valentine’s Day too! 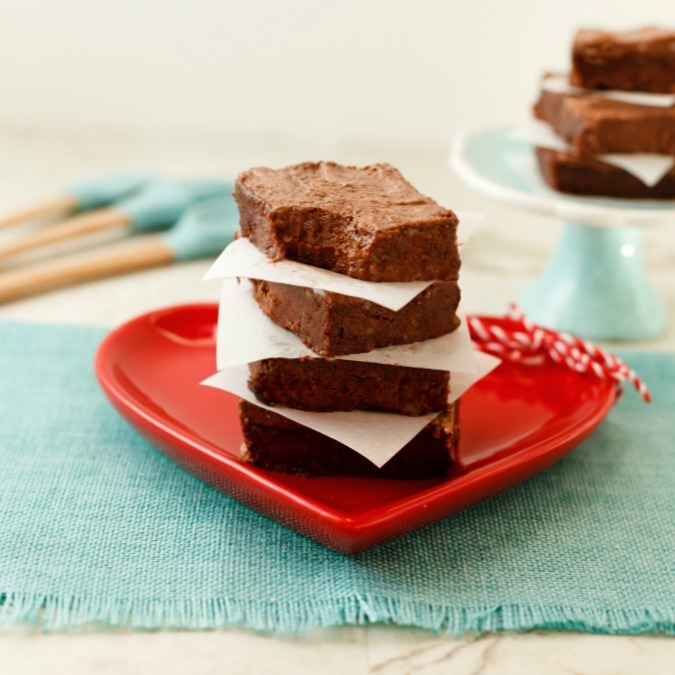 I would love these – brownie is my FAVORITE flavor!! Mmmmmmmmmm YUM! This looks so good. Chocolate and walnuts always make a wonderful flavour combination. This recipe sounds just so delicious. I wish I could have one for dessert right now. These look great! I love the ingredients too! My kids would love this for a treat!